RELAX in top-of-the-line Swim Spa, ENJOY magical sunsets plus finished 3-car with epoxy floor. MLS#21626294. Ready To Call Home, LLC. Keeneland Park - Awesome Sun-room w Wood Deck Outside w View Of The Pond. MLS#21629592. Jeff Paxson Team. Pictures may be of similar home. MLS#21629459. CENTURY 21 Scheetz. Sonoma - Too Many Updates To List But Included In The Supplements. Hurry, This Won'T Last! MLS#21628649. F.C. Tucker Company. Quail Ridge - All kitchen appliances included! Must see today! MLS#21629674. Keller Williams Indy Metro S.
Centennial - Chef's Kitchen w/Large Island w/Bar/Staggered Cabnts with pull-Out Shelving & Crown Mldg/Granite/Pantry/Tile Backsplash/Stainless Steel appliances/Breakfast room-Great room Features Wall-of- Windows/Gas Stacked Stone Fireplace-Master Suite with trey Ceiling/Soaking Tub/Tile Shower/2 Sink Vanity/Walk-in & Water Closets-10' Ceilings on Main Level & 9' in the Spacious Finished Basement-Laundry room w/ Window/Sink/Cabinets-Family Entry w/Mail Station-Good Closet Space-Finished Garage w/Pegboard Wall/Door Opener/Attic Access-Open Patio-2" Blinds-Ceiling Fans-Alarm-New Roof & H2O Heater in 2017-Hardwood Laminate & Tile Floors-Great Location! MLS#21628998. F.C. Tucker Company. 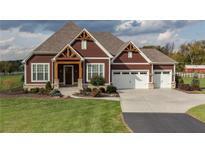 Villages Of Oak Manor - Community includes pool, fitness center & clubhouse. MLS#21629140. ERA Real Estate Links. 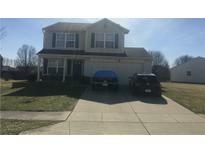 2-car Attached Garage And Full Unfinished Basement Offers Abundant Storage And Room To Grow! MLS#21628848. F.C. Tucker Company. Don't miss this amazing property! MLS#21628131. CENTURY 21 Scheetz. 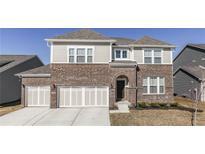 Meadowlands At Viking Meadows - Open, bright and move in ready! MLS#21626457. Berkshire Hathaway Home. Within the last 6 years home has had new roof, gutters, furnace/HVAC, electrical panel, remodeled bathrooms, sump pump & backup system, new appliances. MLS#21627011. Keller Williams Indpls Metro N.
Maple Village - Don't Blink! This one won't last! MLS#21628063. RE/MAX Ability Plus. Pine Ridge - Rear Patio to enjoy fenced in backyard w/lots of plantings & big trees shade. Great Schools! MLS#21628308. Carpenter, REALTORS®. Viking Meadows - Backyard has a huge built in custom firepit and is ready for fun! ! MLS#21625368. F.C. Tucker Company. Custom finishes and window treatments, improved landscaping, irrigation system and surround sound just to name a few extras! 0.66 acre lot! MLS#21628301. RE/MAX Ability Plus. Don't forget to catch some fresh air while enjoying your huge covered porch! MLS#21627641. Carpenter, REALTORS®. Villages Of Oak Manor - Full basement and a 3 bay garage. MLS#21628436. HMS Real Estate, LLC. Maple Village - Maple Glen Elementary is behind this home. MLS#21628449. Carpenter, REALTORS®. Grassy Knoll - Best of outdoor living with large deck, mature trees, & fenced in yard. MLS#21628248. RE/MAX Edge.